Limpid Jewelry Inc. provides the expertise in almost any kind of diamond and colored stone setting. Our stone setters are trusted for your job, since each setter has excelled in one category of setting listed below. 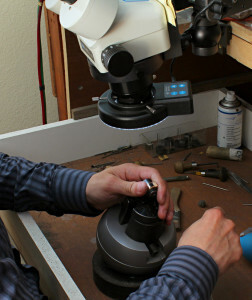 Limpid Jewelry’s setting department, welcomes the challenge of your intricate projects. No matter what your needs, from a simple four prong to the most difficult setting, experience and dedication of our setters is unmatched. Since majority of our setting jobs are being done under powerful microscopes and LED lighting, our clients have learned to expect only the highest quality setting work from us. This means your gemstones will be set straight, evenly, and securely tight. Prong, Bezel, Channel, Pave, Burnish, Bright cut, Bead, Flush, Tension, Micro Pave, U setting and invisible setting.